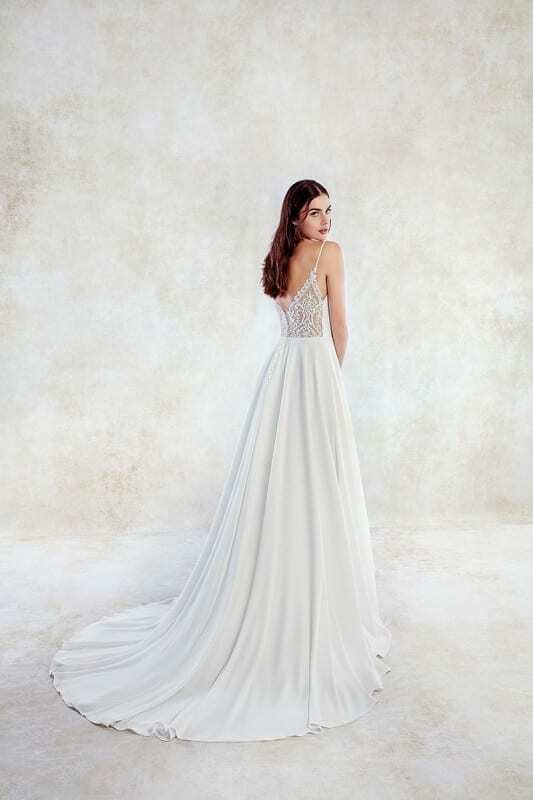 Style EK1243 from the Eddy K. 2019 Collection was loved by many brides this week! The dress is an elegant crepe gown with a sweet silhouette. It gives a sensual appeal with the v-neck and the lavishing beaded lace in the back.